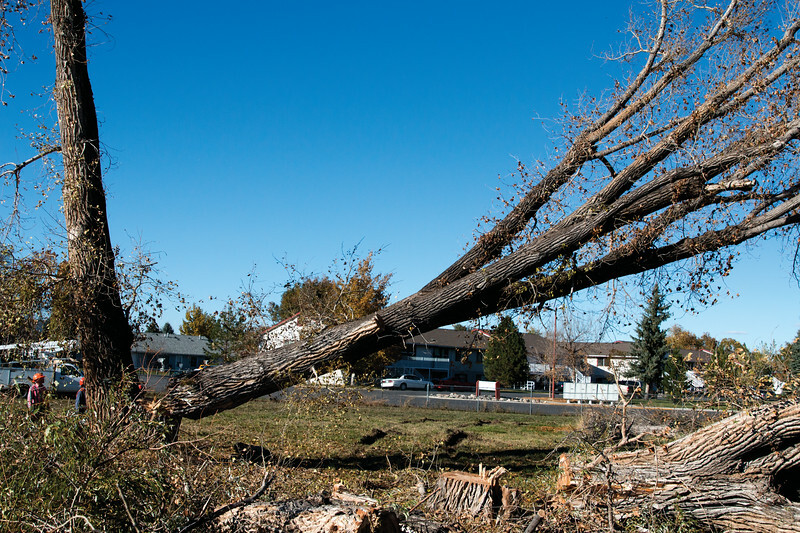 Executive Branch, a tree trimming service, clears the property at 1352 Avoca Place of dead or diseased trees. A tree at 1352 Avoca Place is the last one scheduled to be removed due to center rot by Executive Branch Tree Service Tuesday, Oct. 16, 2018. 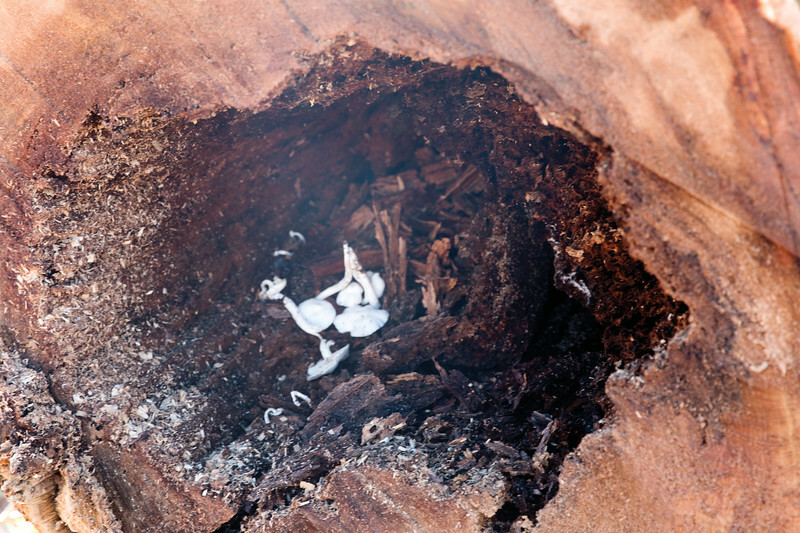 Center rot allows fungus and mold to grow inside of trees. Tuesday, Oct. 16, 2018. 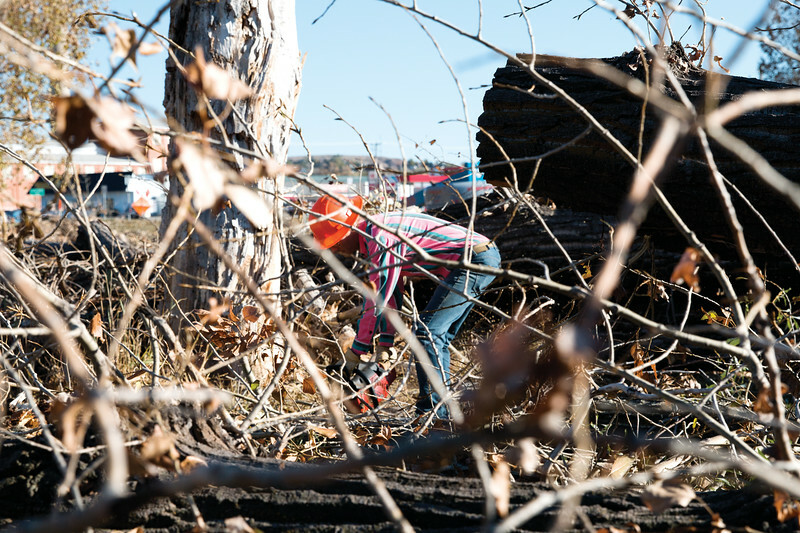 Joel Saur of Executive Branch Tree Service makes the first of two cuts to create a wedge. 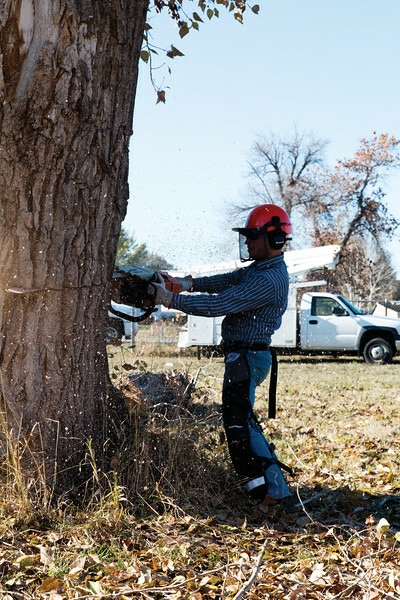 The purpose of the wedge cut is to make sure that the tree being removed falls in the desired direction. 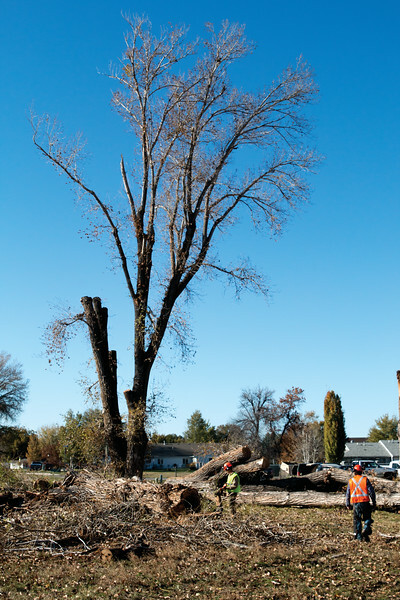 Joel Saur makes the second cut on a tree that is being removed at 1352 Avoca Place on account of center rot Tuesday, Oct. 16, 2018. A tree is felled at 1352 Avoca Place by Executive Branch Tree Service Tuesday, Oct. 16, 2018. 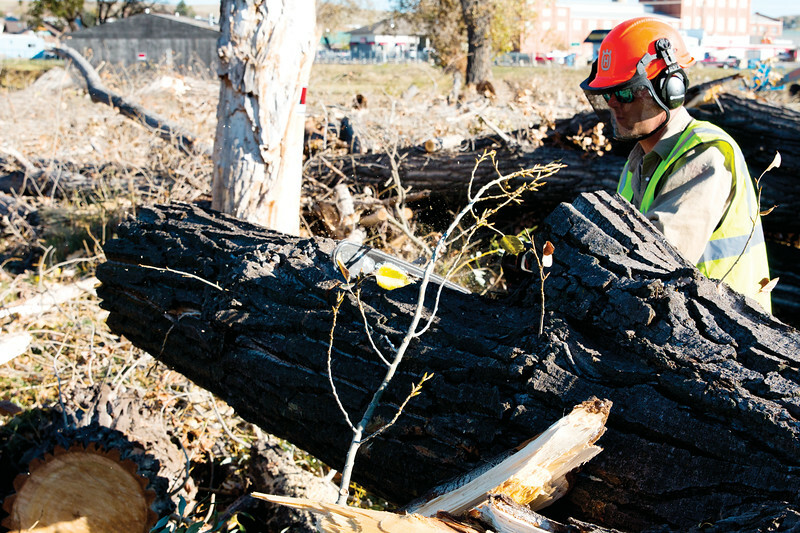 On Tuesday, Oct. 16, 2018, Executive Branch Tree Service’s Alex Kollekowski uses a chainsaw to clear away a number of trees that were cut down due to center rot, which causes a tree to rot from the inside out and eventually die. 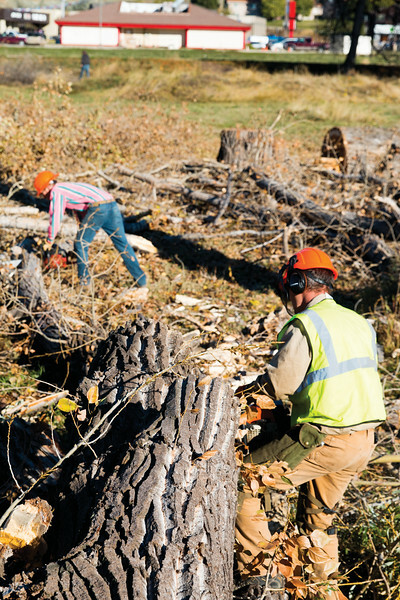 Joseph Decker, right, and Alex Kollekowski clear branches from a felled tree before starting in on the trunk Tuesday, Oct. 16, 2018. 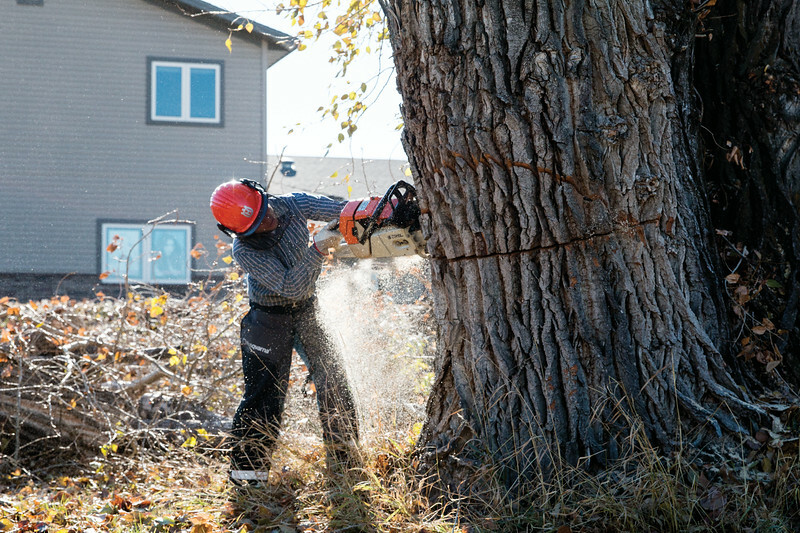 After the tree has been felled, Joesph Decker begins the work of carving the trunk up into smaller, more manageable pieces for removal Tuesday, Oct. 16, 2018.